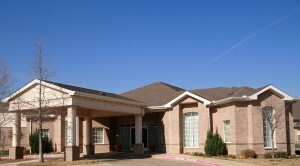 Going on an assisted living tour can be an exciting and at times, overwhelming process for many seniors. This new assisted livings facility or retirement community can be a potential new home for any seniors. While the idea alone may be a lot for any senior to take in, there are a few “musts” that any senior should do while on their tour to make sure they are testing the waters and making the right choice when it comes to choosing the right assisted living facility to meet their needs. The right food can really make or break any experience in assisted living. After all, the dining facilities will provide the main source of meals for those that live in this community. Not liking the food can really make day-to-day life less than enjoyable in even the most fun assisted living facilities. One of the best things about assisted living communities is that they are filled with activities and social events for residents to enjoy. It is great to hear about the different types of activities that are offered at an assisted living community, but it is a completely different experience to actually get to try an activity for yourself. Most communities will let you do an activity, play a game or join a group or outing to get a feel for what activities in a specific facility are like. The staff members at any assisted living facility are going to be providing a great deal of care and support for every resident. While on your tour, make sure you take the time to chat with a few staff members to make sure they are the type of warm and welcoming individuals that you want to spend time around. No one can give better insight into what it is like to live in a specific community quite like an actual resident or their family members. While you are on tour, take a moment to talk to the residents that you see and ask them what it is like to live in that specific community. They can provide a great deal of detail and information that most staff tour guides cannot. There is no better time than the present to ask questions about a specific assisted living community. With this in mind, it is important that you take the time to ask questions about a specific community while you are in the actual community. There are very few other opportunities that you will have to ask in-person questions. If you have a question, ask it there and take notes, if needed to keep track of the answers to all of your important questions. Keep these five “musts” in mind during every assisted living tour. Gaining on insights on these little areas of each assisted living community can help any senior and their family make the best choice for their future living arrangements.